This premium recipe app is for all authentic South Indian food lovers. Ever wondered what is the secret behind the authentic sambar or a rasam? Did you always want to master the art of South India cuisine? 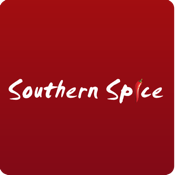 Southern Spice brings hand picked recipes for your taste buds. It has more than 7 different types of rasam and 8 different types of rice, which makes you a master chef. It also allows you to make more than 9 mouth watering curries and inspires you to cook with perfect ingredients and rekindle your senses. Go ahead and make an in app purchase if you are bored using the epicurious recipes and playing the angry birds.